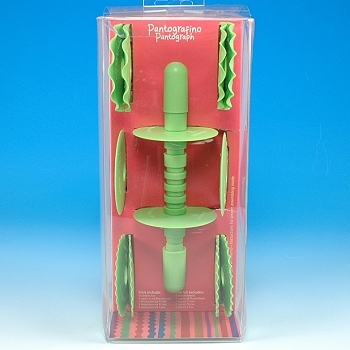 The Pantograph Ribbon Cutting Roller is the perfect way to add beautiful textured fondant ribbons, stripes and bows to your cakes. 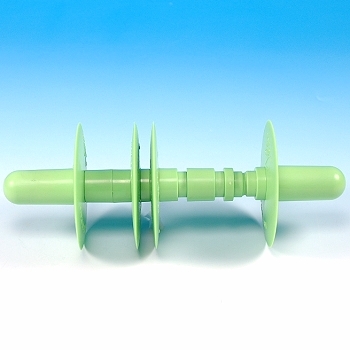 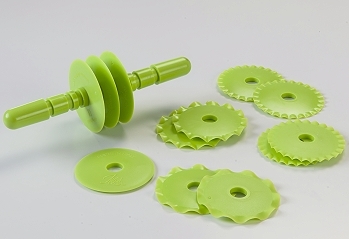 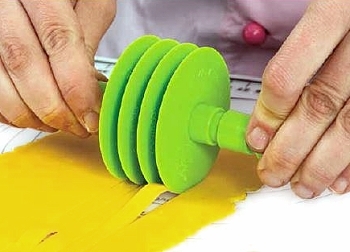 Simply select the cutting wheel pattern, slide the assembly onto the roller handle and roll over your fondant. 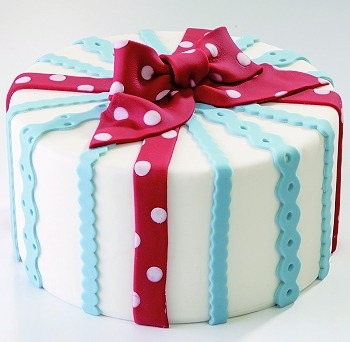 The perfectly cut ribbon strips are ready to place right on your cake! 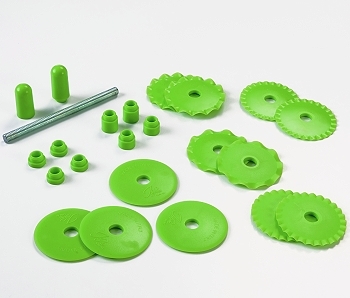 Produces ribbon, minimum width 3/16", maximum width 4 1/8" when combining spacers.